LifeShield, which was part of DirecTV from 2013 to 2017, is now an independent operation. As such, it has gone all-in on home security as a service. 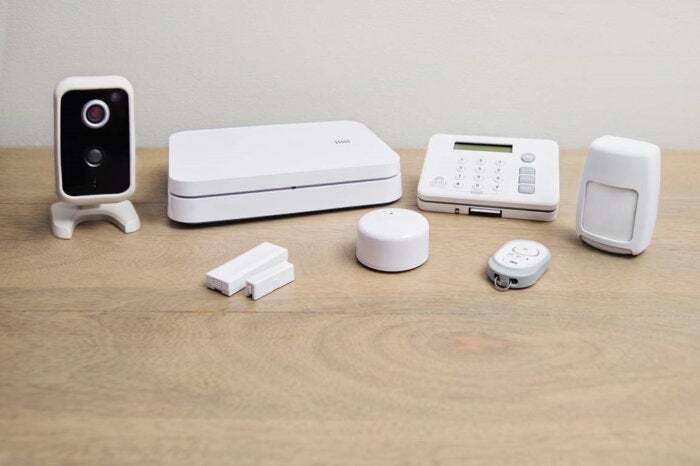 You’re not buying a home security system here, you’re signing a term contract in which you agree to pay a monthly fee to use a professionally monitored home security system. This is intended to be a turnkey operation, so it’s best to consider carefully before you lock in to the three-year contract. That goes double since the equipment must be returned if you don’t renew the contract. LifeShield offers two basic setups: a limited Security Essentials kit for $29.95 per month, and the more extensive kit reviewed here, called Security Advantage, for $39.95 per month. The main difference is that the Security Advantage kit includes cloud-based video monitoring, while the Security Essentials kit does not. You won’t find a security system with more equipment included in its starter kit. LifeShield notes the retail value of all this gear at more than $1,500, but an “instant discount” gets it for you for an activation fee of just $99.99, plus the monthly monitoring bill. 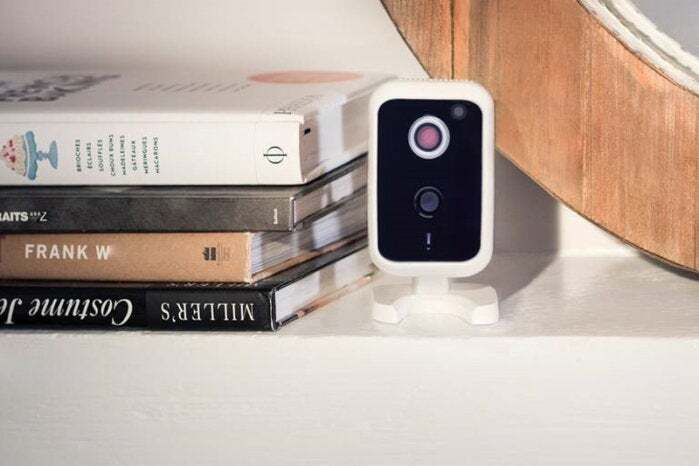 The product list can be customized during your initial configuration (with additional products available, such as an outdoor camera, flood sensor, freeze sensor, glass-break sensor, or additional units of most of the above). But don’t get too caught up in the growing price tag. A rep I was chatting with online promised access to promotions that would get me the extra equipment for free. Be persistent. Remember, however, that all of this gear is leased. When your contract expires or if you cancel early (early termination fees are essentially equal to the remaining value of the contract), all the equipment must be returned to LifeShield. LifeShield needs to put a stronger antenna inside its base station so that it can be deployed farther from a wireless router. To save you the math, $100 plus $40 per month for 36 months comes out to $1,540, which isn’t a bad deal when you consider that it includes 24/7 monitoring and cloud video storage. If the system was more robust than it is, it might be worth paying for. But as it stands, it just isn’t. LifeShield began pummeling me with email before I even had the hardware in hand. 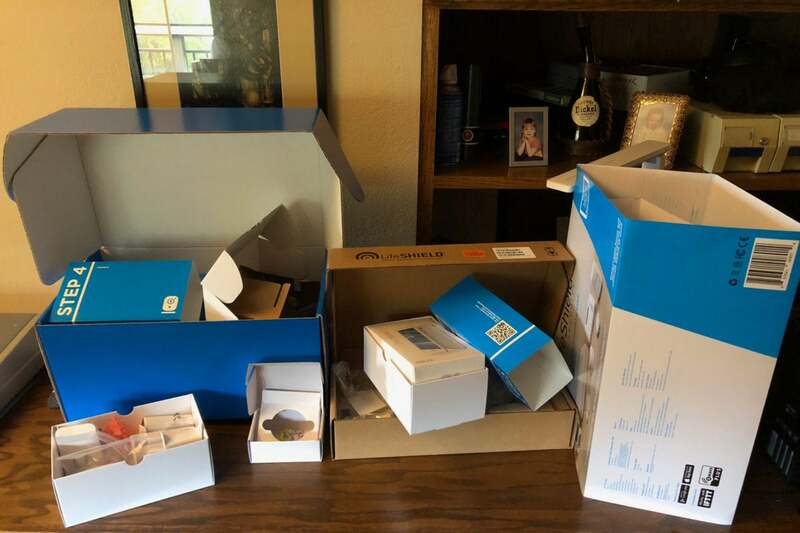 As it sat on my desk, waiting its turn for review, LifeShield pelted me with seven messages over the course of a week, plus at least one phone call, all encouraging me to set up the system pronto. LifeShield also informed me via form letter that my municipality requires residents to obtain a permit from the city if they install a security system, and that a copy of this permit must be remitted to LifeShield or else it would terminate its monitoring service. I actually have a permit for a security system, but I don’t keep a copy of it on hand, and I expect few homeowners do because no one has ever asked for a copy of it in the five years I’ve lived here. You might be in for a trip to city hall if you decide to install any security system, if your local government requires a permit, but LifeShield’s oversight feels a bit Orwellian. When my hardware arrived, I was faced with a monstrous collection of gear. Opening the box revealed four more boxes inside, and then more boxes inside those. I counted 14 boxes total—not including all the little plastic bags inside each of those boxes. I mention this because all this unboxing and unbagging really adds to your setup time while also creating a massive amount of waste. It’s not even all that well organized, either: The power supply for the numeric keypad was found in the box with the base station gear. While it’s a huge kit, surely there’s a better way to deal with all this. LifeShield doesn't use the most environmentally sensitive packaging practices. Initial setup requires a hardwired ethernet connection from the base station to your router. While the base station is supposed to also work wirelessly, this never worked for me, perhaps because no antenna was included for the base station. Setup is best performed via a web browser, but management can also be performed via downloadable app on your smart device or through the included tablet. In general, I found working on LifeShield via the web app the fastest and most reliable method. LifeShield’s various sensors are pre-registered to work with the base station, so no additional configuration needs to be undertaken after you engage the batteries by pulling out the usual plastic tab. All the gear is on the largish side, and none of it has a consistent design theme, all in different shades of white and different levels of glossiness. These are cheap sensors, to be sure, but they work—both the door/window sensors and the motion sensor triggering accurate alerts. Alerts can be set to send via push notification, email, or both. I had initial trouble with the camera, which also requires a hardwired ethernet connection to your router during setup. Following the instructions to unplug power and the data connection, the camera fed data to the dashboard, though it simultaneously claimed to be disconnected. Overnight, this issue corrected itself, as did a problem with the key fob, which didn’t work at all when I first tried to set it up. After disassembling it and letting it sit overnight in pieces, I put it all back together and, like magic, it too operated normally. LifeShield’s surveillance camera produces decent quality video, although it’s not the most handsome model we've seen. 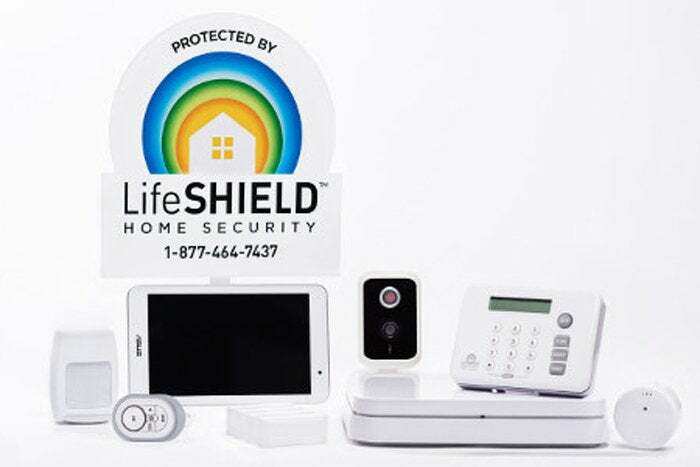 With everything eventually set up, LifeShield continued to show how rough around the edges it is, a surprise for a product that boasts five years of history. For example: The numeric keypad, safely plugged into the wall, insisted it had “no AC power.” The Asus tablet drained its battery entirely in less than a day. The system includes door chimes, but these are off-key and grating, sounding like a sick parakeet. And finally, there’s the siren. The first time I set it off I wasn’t sure it was working. More of a light chirp than a loud klaxon, it’s the softest siren I’ve ever encountered, and it was easily muffled by simply putting a pillow over it. As for LifeShield’s software management tools, they fall somewhere in between being user-friendly and a kludgy hacker tool. It’s not hard to navigate the dashboard and settings menus, but much more refined systems are readily available. 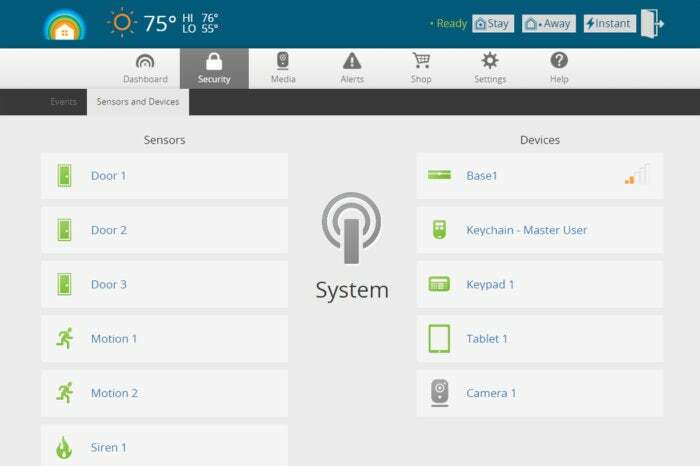 Also note that LifeShield’s hub works with generic Z-Wave devices, but otherwise it’s closed off to the rest of the smart home ecosystem. How you feel about LifeShield may initially revolve around your opinion about leasing vs. owning equipment, but that’s almost secondary in comparison to the sloppy setup process and the large number of bugs that seem to be lingering in the system. In its current state, it’s just not something I would trust to handle security for my home. This subscription-only kit is priced about right for the equipment and service provided, but it has far too many bugs for us to recommend it.